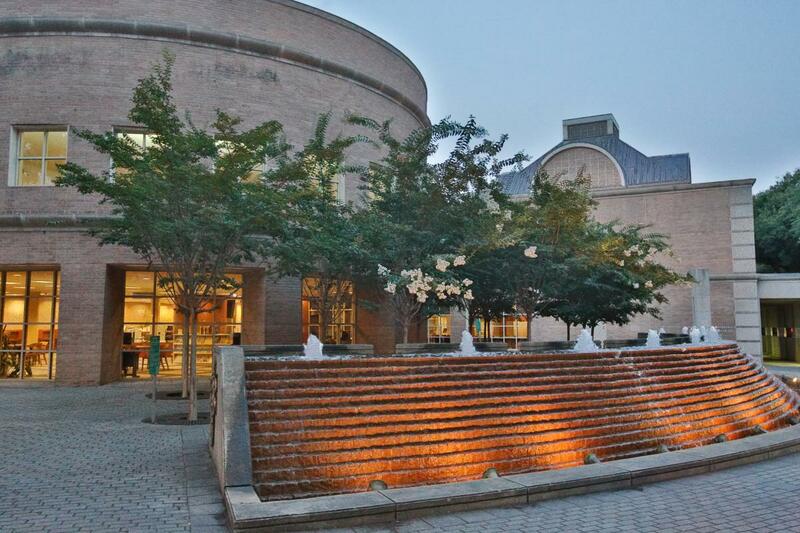 Mecklenburg County Asset and Facility Management provides master planning, space planning, architectural design and construction administration services for Library capital projects. The charmeck.org website highlights major capital projects for libraries that have been ranked according to Mecklenburg County's Capital Improvement Project (CIP) process. For more information about procurement and contract opportunities related to building projects, visit the Mecklenburg County procurement webpage. The Library currently has no funded projects for new library branches as part of Mecklenburg County’s CIP process. A new library branch would require additional ongoing operational funding in addition to the capital funding. The Library has three renovation projects underway and one completed as part of Mecklenburg County’s CIP process. Projects funded in the CIP are approved annually by the Board of County Commissioners. See current and completed building projects below. 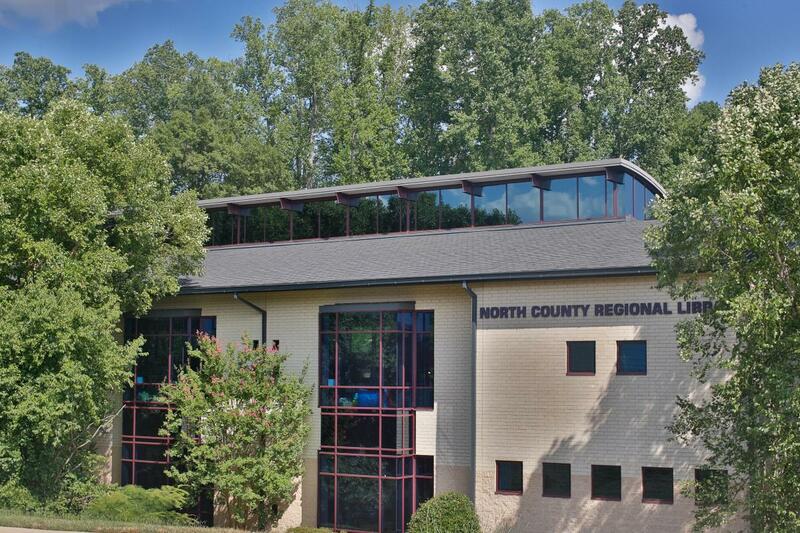 Located at 16500 Holly Crest Lane in Huntersville, the Library will begin an approximate $6,700,000 capital improvement project for renovating the North County Regional Library in July 2018. The project is managed by Mecklenburg County's Asset and Facility Management team. Architectural planning and design work for the renovation is underway. The Library will close on July 14, 2018 at 5pm. Once planning and design is complete construction is anticipated to take another 12-15 months and we expect to reopen in summer/fall 2019. For more information on holds, storytimes, programs and services, please see the FAQs here. 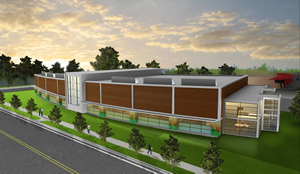 Located at 5801 Rea Road in Charlotte, South County Regional Library will begin an capital improvement project for renovation in summer 2019. The project is managed by Mecklenburg County's Asset and Facility Management team. Architectural planning and design work for the renovation is underway, and community input sessions have been held. Once planning and design is complete, construction is anticipated to take 12-18 months. 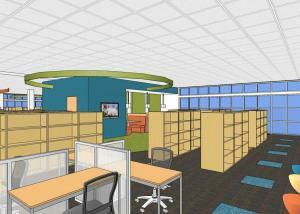 An approximately $8,000,000 capital improvement project for renovating and expanding the Morrison Regional Library. The project was managed by Mecklenburg County's Asset and Facility Management team. The Morrison Regional Library was previously 24,108 SF (first floor 12,054 SF; second floor 12,054 SF). The completed project was 26,711 SF after expansion. Construction is was completed in December 2017. For more information, please see Renovation and Expansion Frequently Asked Questions. Renovation of the Beatties Ford Road Library began in November 2009, with the goal of updating and expanding the facility to meet increased community demand. During the initial phase of renovation, the branch remained open with limited hours and services. 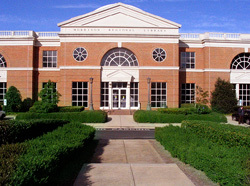 However, on June 19, 2010 in light of significant cuts to Library funding, the Beatties Ford Library was closed to expedite the expansion and renovation effort. As part of the plan to cope with the funding cuts, Library trustees voted to approve a plan to make Beatties Ford Road Library the new regional library for the area when it reopened in the summer of 2011, replacing Freedom Regional Library. 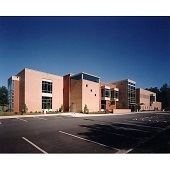 Freedom Regional closed as a Charlotte Mecklenburg Library, but it continues as the school library for the Phillip O. Berry Academy of Technology. Hickory Grove is a quickly growing community made up of people of all ages and backgrounds. The old library, a small, aging, facility located in a leased building, was not able to keep up with Hickory Grove’s rising population. Increasing the space from 5,100 to 16,000 square feet helps the library more effectively serve some 86,100 citizens. Funding for the $4,956,400 project came from Mecklenburg County pay-as-you-go funds, which alleviated the need to borrow for the project. Keeping in mind the library’s goals of sustainability, energy efficiency, indoor air quality, and obtaining LEED certification, the Hickory Grove Branch Library incorporated many environmentally friendly qualities that allow the facility to grow with its community. Hickory Grove has been very energy efficient. From the beginning, the energy performance was predicted to be 17.5 percent better than a conventional building of its size. Many thanks to Mecklenburg County who calculated the data for us: The energy performance calculated for 2011 was approximately 34 percent better than a conventional building of its size. In other words, the results-to-date show that the building has more than doubled the original prediction of savings. In response to a growing need in Mecklenburg County, the Library has launched a new initiative aimed at helping people find jobs. This initiative included a new job center in Main Library.